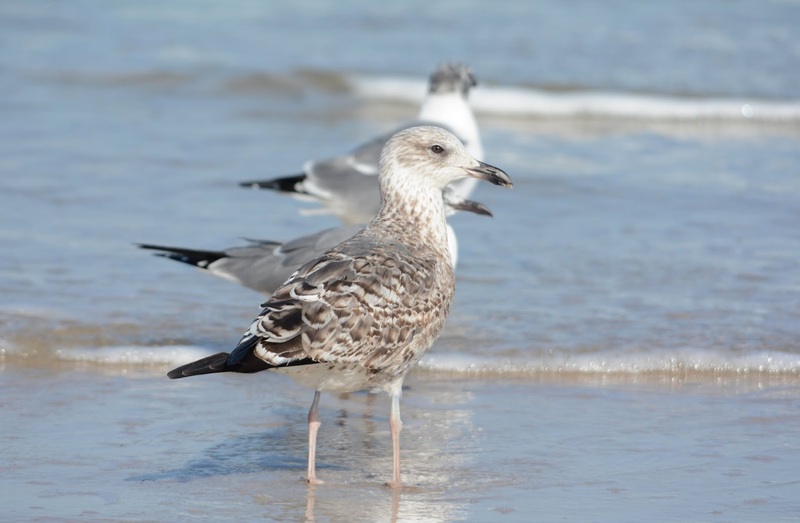 Few beaches - if any - top the gull congregation at Daytona Beach Shores in east-central Florida. 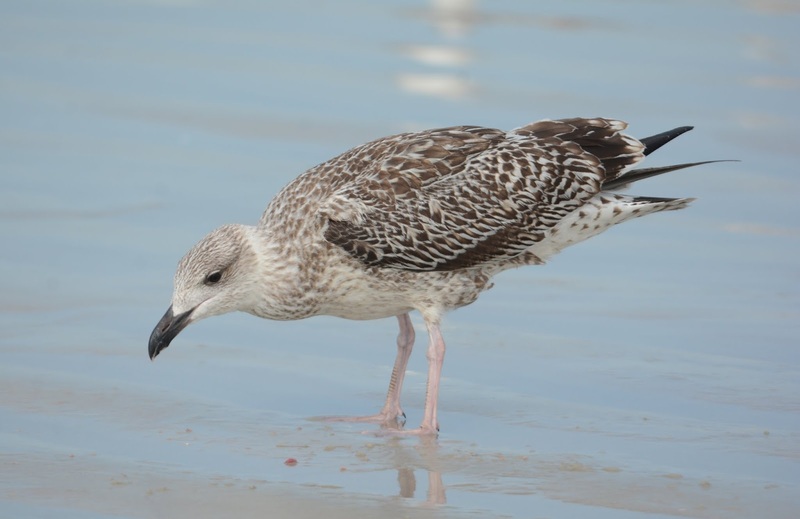 This evening, we estimated some 60,000 gulls on a stretch of beach less than 2 miles long! 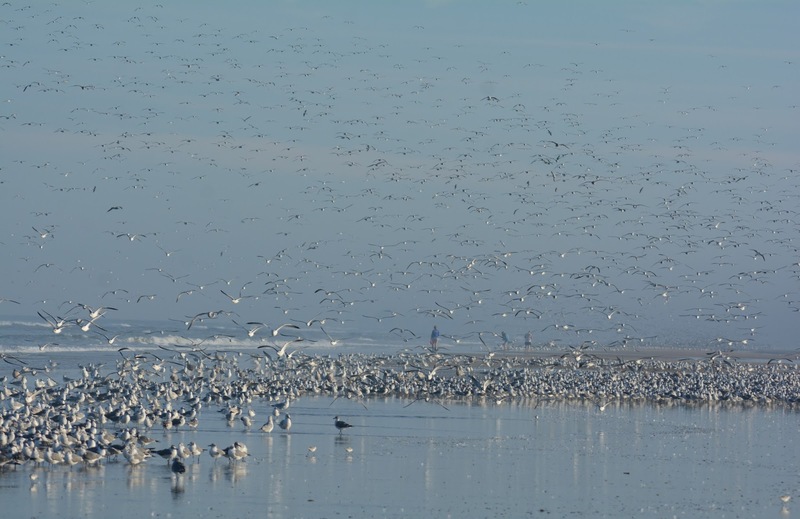 A small fraction of the gull flock on our Gull Fly-in field trip. 22 Jan 2015. 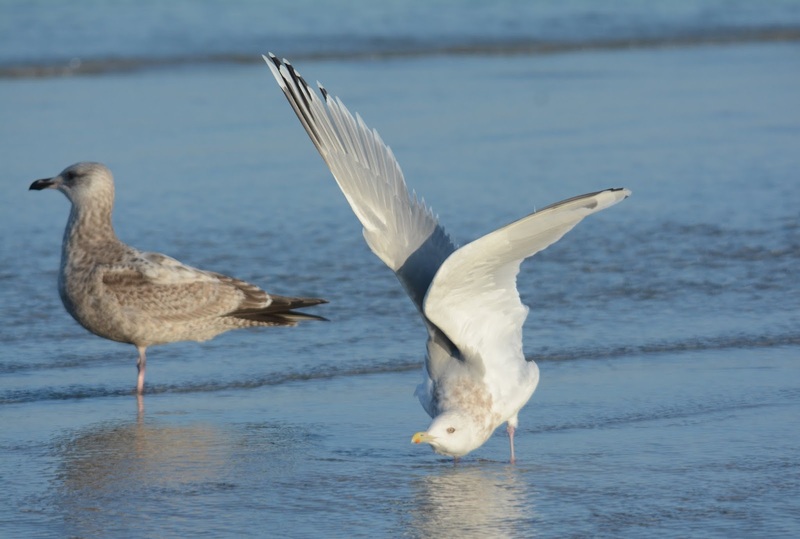 The gulls arrive every afternoon a couple of hours before sunset, having spent most of their day feeding at the local landfills. They eventually fly out to roost past the breakers out at sea. This is strictly a winter affair. 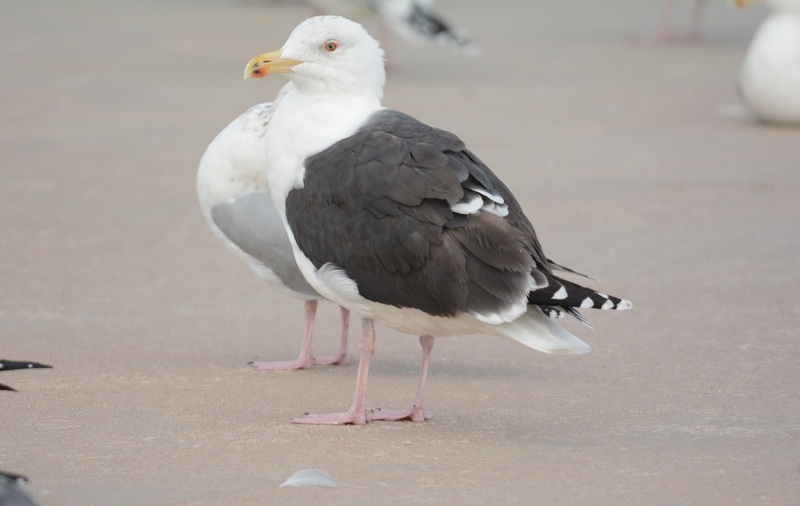 I'd estimate that over 85% of the gulls are Laughing Gulls (the largest winter concentration of this species in all of North America). But among them are decent numbers of Ring-billeds and a bewildering array of every plumage aspect of Herring one could fancy. 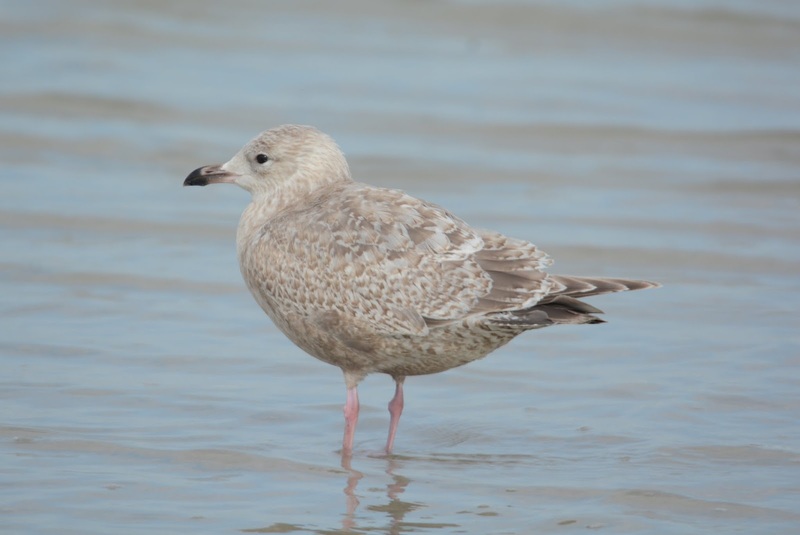 Kumlien's Gull (1st cycle). 22 Jan 2015. 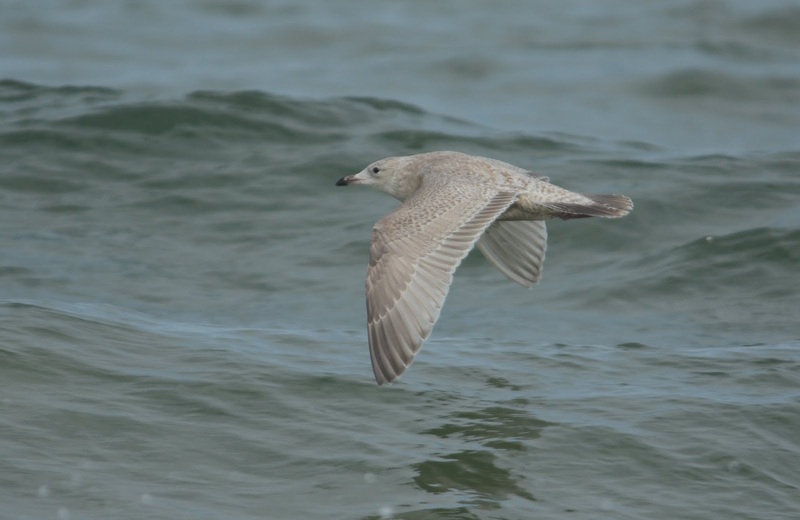 Thayer's Gull (1st cycle). 22 Jan 2015. 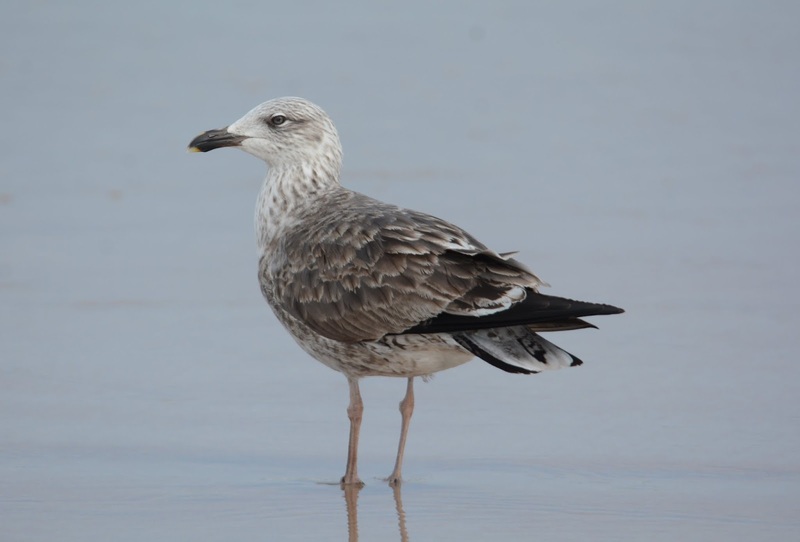 Great Black-backed Gull (adult type). 22 Jan 2015. 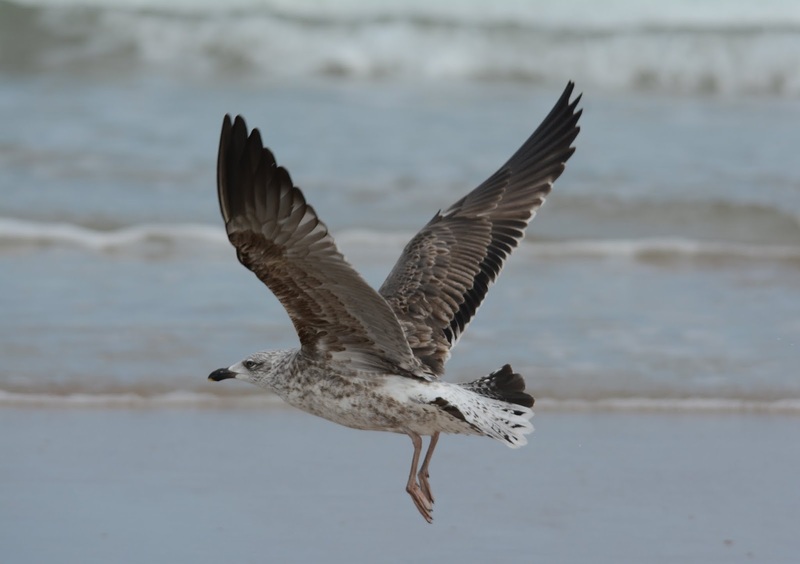 Great Black-backed Gull (1st cycle). 22 Jan 2015. 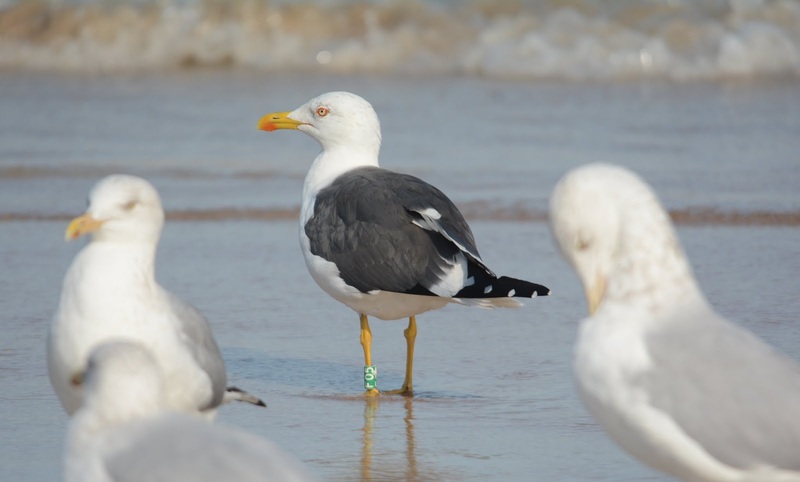 Lesser Black-backed Gull (2nd cycle). One of roughly 30 LBBGs present. 22 Jan 2015. Same individual above. Interesting 2nd basic tail pattern with half the rectrices white and the other half typical black. 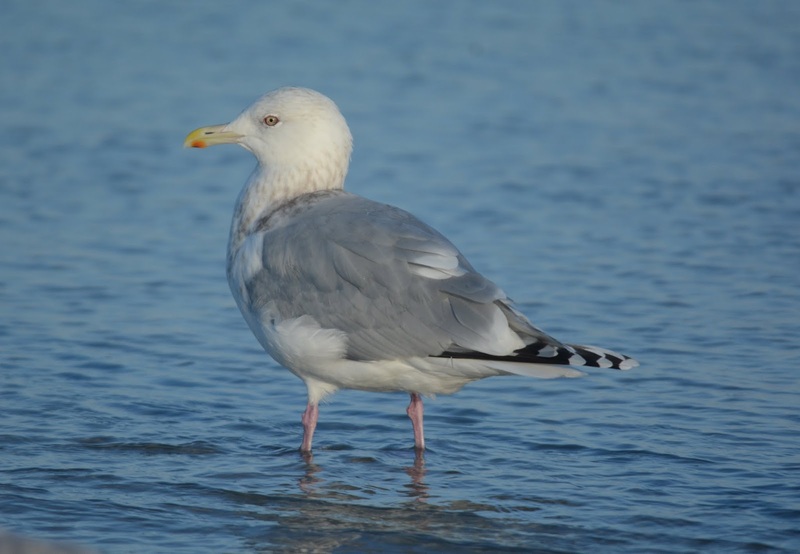 Lesser Black-backed Gull (2nd cycle). A petite bird with a pale plumage aspect (LAGU bill beneath). 22 Jan 2015. 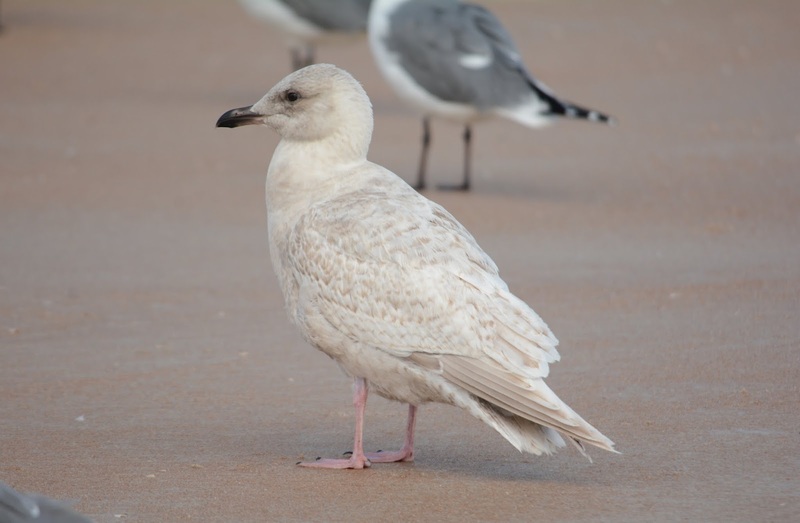 Seen here without a silver aluminum band on its right leg. 22 Jan 2015. 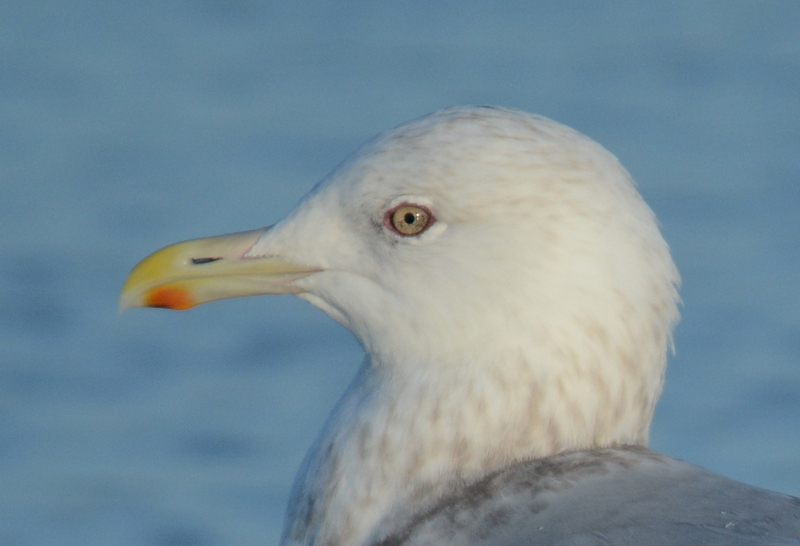 This individual is the most enthralling gull to have ever been followed by North American birders. The whole group waiting for the adult Thayer's to move...about 30 minutes later, it finally gave us a nice profile view. Only the 2nd (or 3rd?) adult Thayer's ever seen in Florida. 22 Jan 2015. Pale iris not terribly uncommon in this species. Note the pinkish-purple orbital ring. Thanks to George for getting us on this bird! A number of Floridians got a state bird out of it...and almost everyone present got their first adult for the state.